Douglas Hsiao, a Colorado lawyer and occasional columnist with the Washington Post, successfully achieved writing a sort of pointless piece about the “challenges” associated with being a landlord in Washington D.C.
As you may or may not know, the U.S. national capital has been going through a bit of a resurgence to some degree. It’s become a trendy place to live. 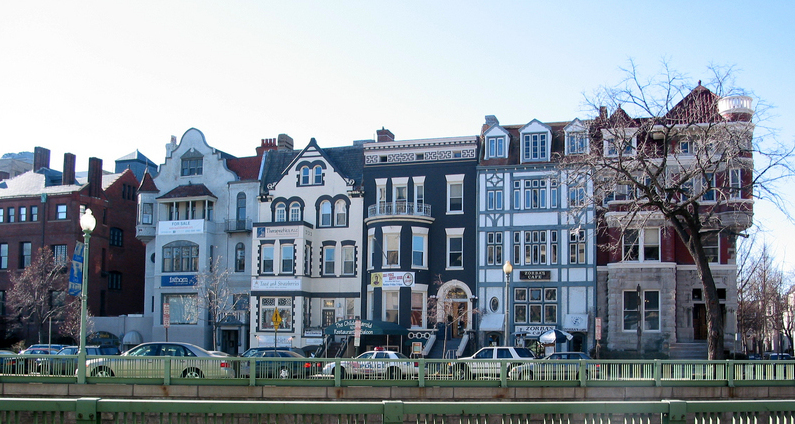 He wrote this piece about how he can’t make money on his unit – even though $3000 a month is common for 2 bedrooms in his Dupont Circle neighbourhood. As I admitted before, I’ve refinanced the property several times, so much of the cash flow problem is my own fault; I’ve used the condo as a bank once too often, and thus I have a fairly substantial mortgage on it. But more than that, the growth in expenses has outstripped rents for several years now, and I rent it out with nearly no cash flow. As some may recall, I chose a couple who were moving from Denver to Washington, and they turned out to be the “responsible, clean, quiet, long-term, reliable, uncomplaining” dream tenants I was hoping for. I received hopeful signs throughout this past year that they would renew their lease; they e-mailed me that they loved the apartment, the Dupont Circle neighborhood and the residents. They even had the property manager prepare the renewal papers. Just when every indication I was getting seemed to suggest that they would renew, they were lured away. And not by a real estate agent waving a luxury downtown high rise or a house in Chevy Chase in front of them but by an apartment in my own building! So you found good tenants, had the unit paid for for a year, and then they decided to buy a unit in the building you own because they loved it so much? This isn’t exactly a problem. You own a unit in a building where “responsible, clean, and quiet people” decide to buy. Clearly, you’ll never be able to find another tenant, right? Oh wait….I don’t think you’ll have a problem. Also..you live in Colorado – don’t manage the unit yourself, and are complaining about having to pay the property manager? The National Low Income Housing Coalition published a report last year on basically how if you work a minimum wage job, you can forget about living in D.C. The cost of living in the U.S. national capital is among the highest in the nation and it’s ranked as the 6th most expensive place to live in the whole United States! It also has a crazy lucrative short term rental situation going on. Geez man. You own a unit in a rich part of a relatively rich city. Tenants love your building so much they look to buy the units. You’re mainly attracting an affluent tenant with this place. You’re admittedly running in the red because you refinanced the hell out of the unit. Expenses are going up for everyone on utilities and such. Maybe if the place wasn’t mortgaged to hell – you’d have a bit more money available to run in the black. Some of the post’s readers have also been critical of Hsiao’s writing. A comment on the original article goes a little something like this.. Seriously, are you only keeping this place so you can write articles for the Washington Post? This has nothing to do with real estate. This article should be in the finance section as an example of how people were using their homes like ATM’s and that is how the housing market got in the mess it is/was. This has very little if anything to do with being a landlord. If this had been going on any where else other then (sic) DC Mr. Hsiao would be talking the hard times he went through with his short sale or his foreclosure. Sell this property and be done with it and stop whining about how your (sic) not making money as a landlord because of your own financial irresponsibility’s (sic). Life’s tough Douglas. We know. I dunno… try being a landlord in Moncton, New Brunswick or Detroit or Richmond, Virginia where the vacancy rate has been at 15%.